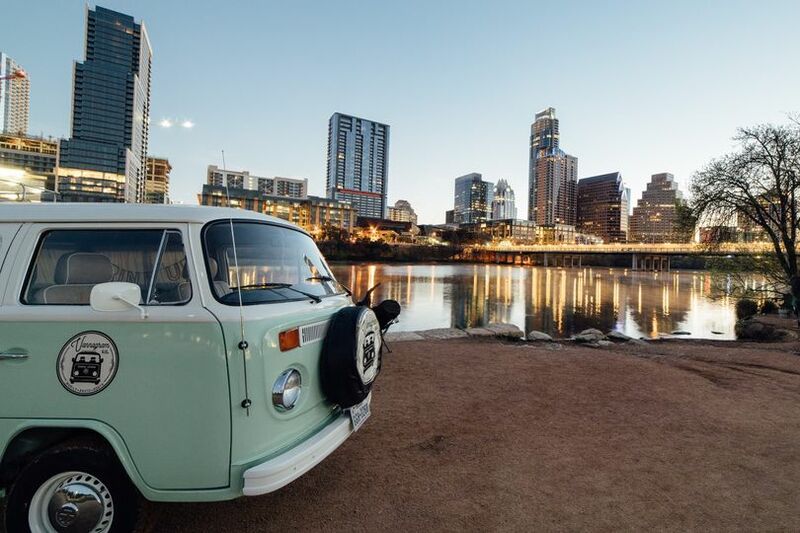 Vannagram & Co. || mobile photo booth is based out of Austin, Texas and is available for weddings and other events throughout Texas and beyond. 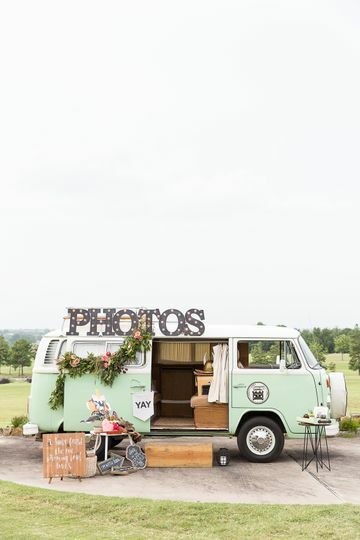 The 1979 Type-2 Volkswagen Bus is mint green and has been converted into a unique mobile photo booth. 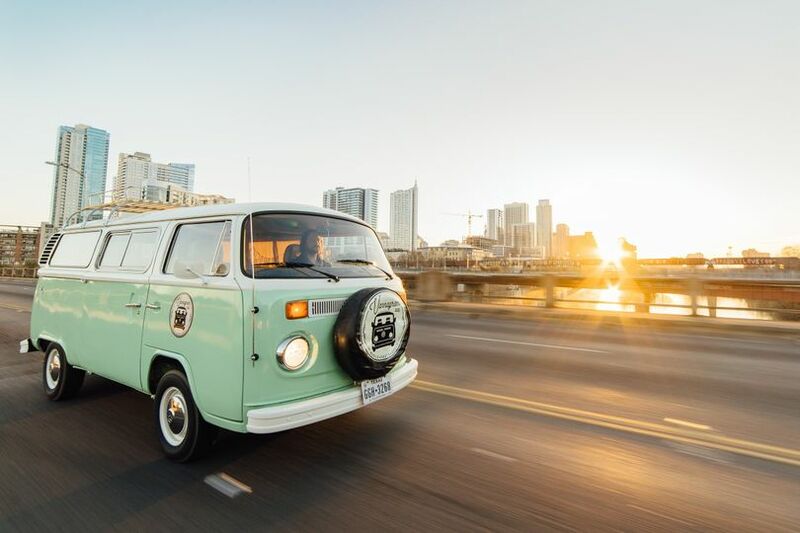 The VW bus is equipped with a high-quality camera with radiant lighting to ensure you and your guests will look amazing while snapping pictures inside. 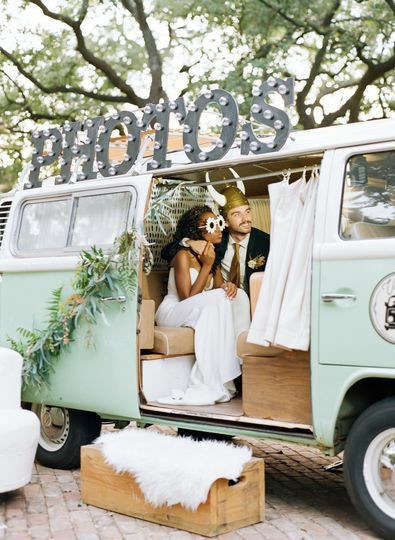 Vannagram & Co. || mobile photo booth allows you to completely customize the bus for your wedding with props, photo filters, overlays, boarders, and backdrops. 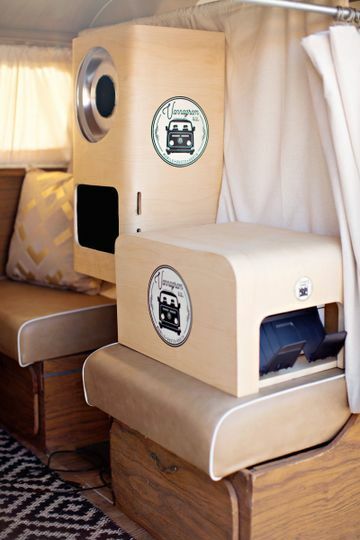 The one-of-a-kind photo booth has social media integration features so everyone can share the fun online. 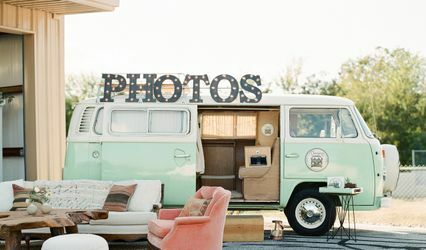 Additionally, the VW bus prints high-quality images right on the spot and even offers duplicate photo strips. After your wedding is over, you’ll receive a CD/DVD of all the images from your event so you can share or print them again and again. Wacky glasses | Photo by Vannagram & Co. 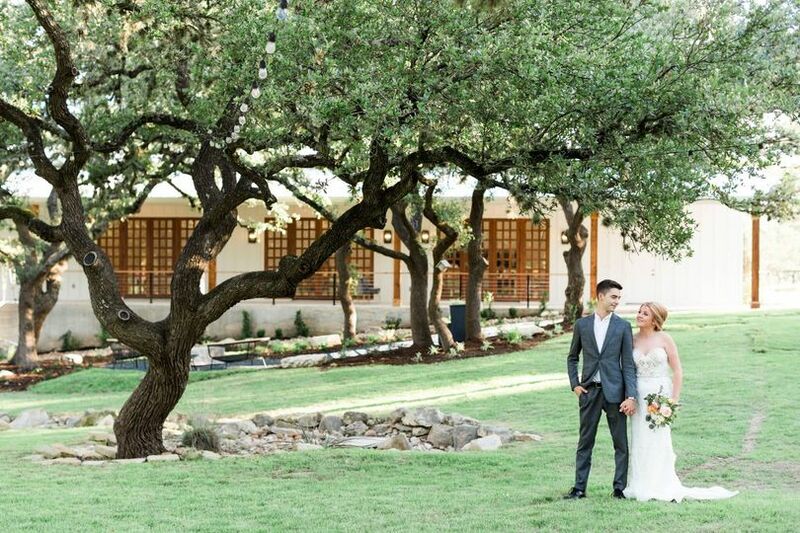 Sample shots | Photo by Vannagram & Co. 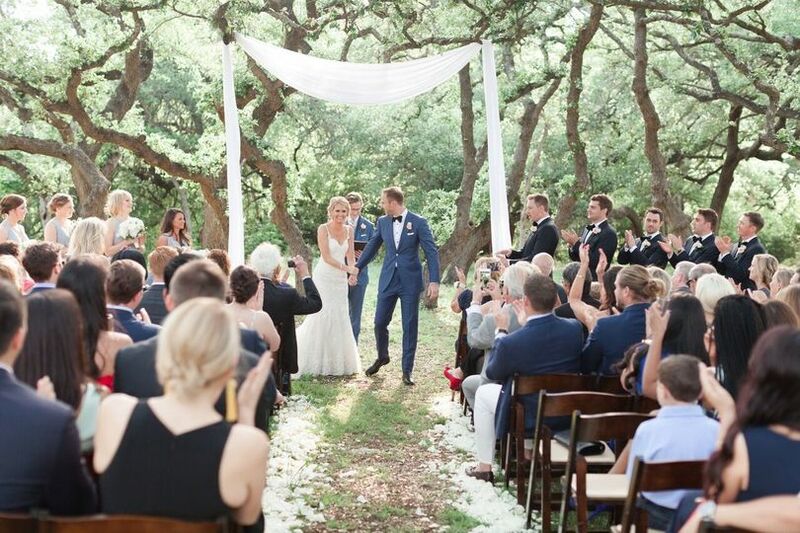 Happy three friends | Photo by Vannagram & Co. Multiple shots | Photo by Vannagram & Co. The women | Photo by Vannagram & Co.
Water color love | Photo by Vannagram & Co.
Fun frames | Photo by Vannagram & Co. 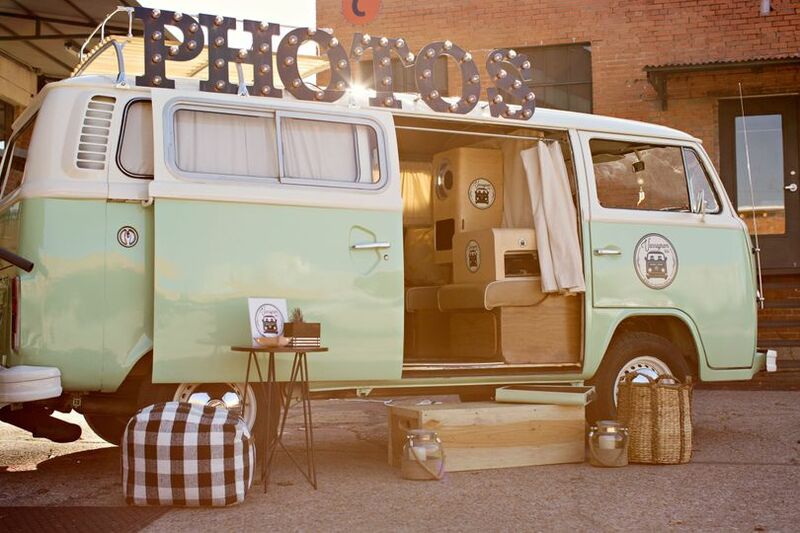 The film strips | Photo by Vannagram & Co. 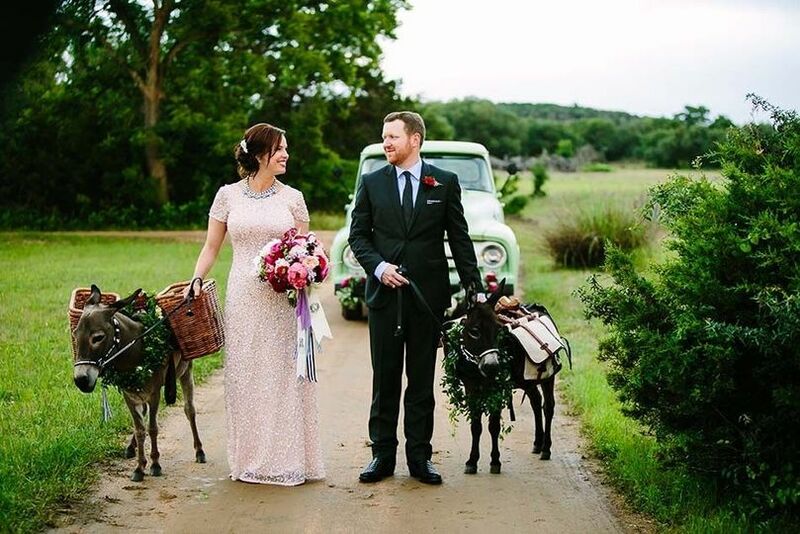 The couple | Photo by Vannagram & Co. 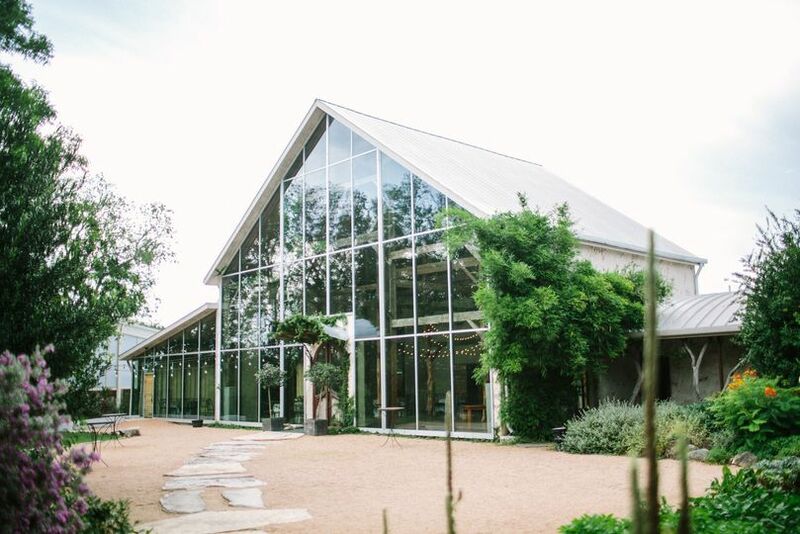 The fun couple | Photo by Vannagram & Co.
4 Reviews for Vannagram & Co.
Vannagram was by far the most enjoyable experience for our wedding guests. 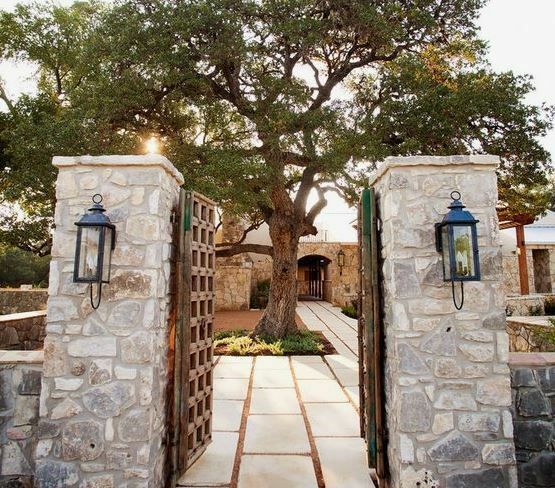 The owners are the kind of people that you meet and immediately want to be their best friend. 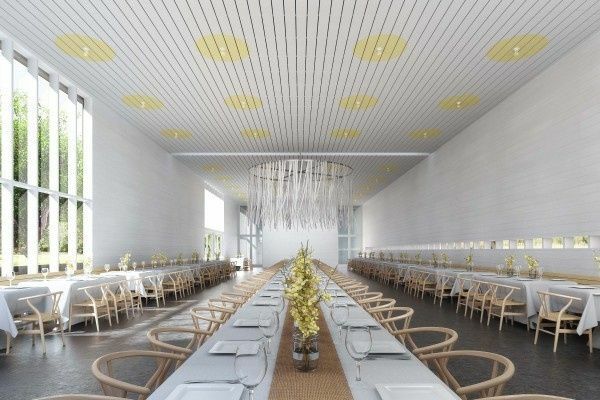 They did a great job of working with our theme and were extremely easy to do busy with. I wish I hosted events so I could use them all the time. Nothing but mad love for Vannagram & Co. This was by far one of the highlights of our Hallowedding party and most people said it was the best wedding they had ever been to! I can't recommend their services enough. 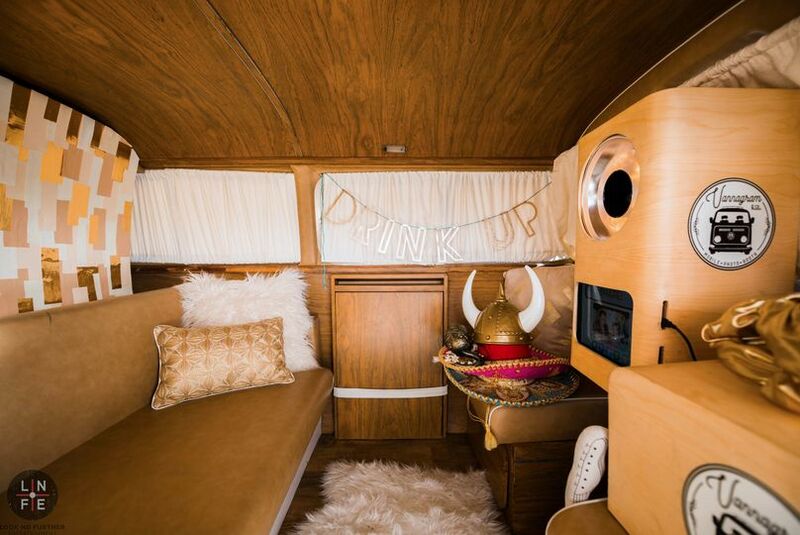 The photo quality is exceptional and the van booth experience is a blast. Definitely worth every penny! 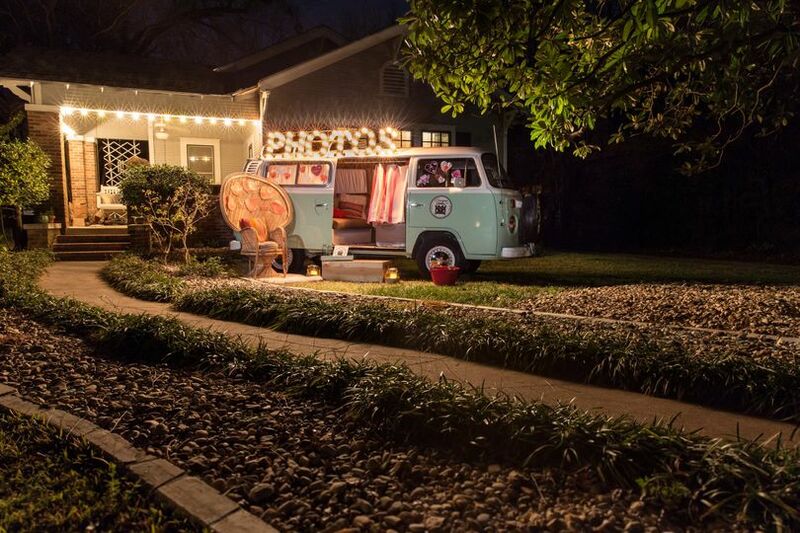 We loved having Vannagram at our outdoor wedding in October. 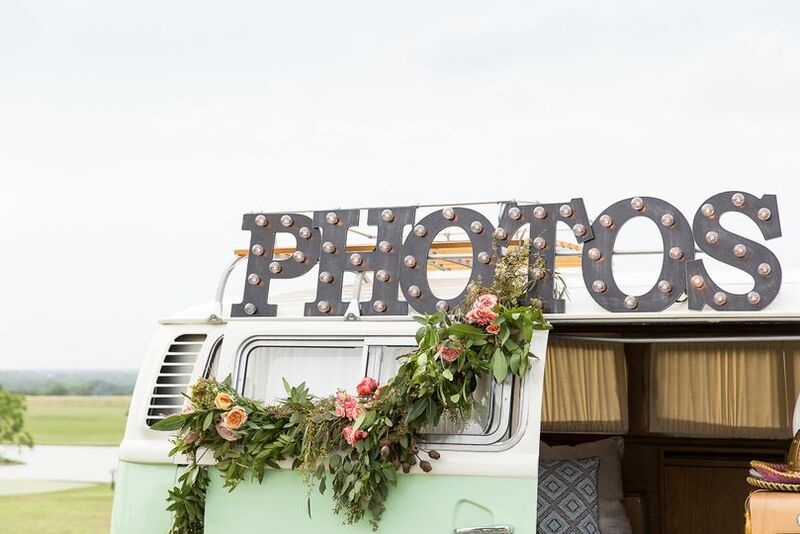 Our guests all raved about it, the photos were amazing, and the van setup itself really added to our decor. Highly recommend!